Visual project management is simply using graphics, pictures, graphs and charts to display project information. People with a visual preference for capturing information have always doodled or mindmapped their To Do lists, whereas those with a preference for creating lists opt for an ordered list of tasks. 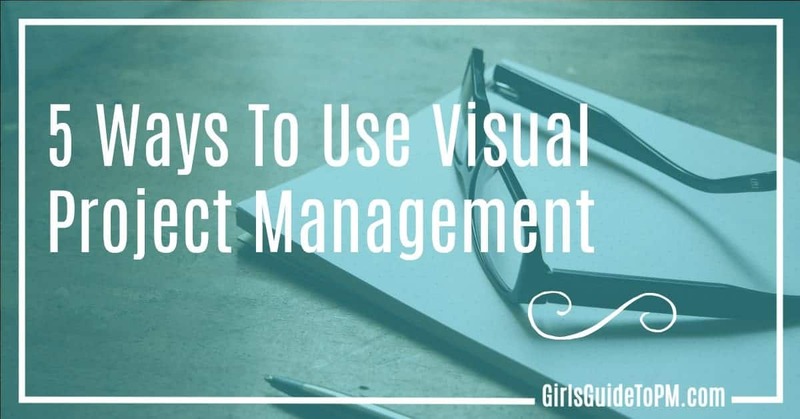 What we’re seeing now is that project management tools are getting better at catering for both preferences, and making it easier to share information visually with the people who need it. And at the same time, making it easier for everyone else to grasp complex ideas through simple graphics. It’s a lot easier to communicate complex constructs or share lots of data points on a graph than it is in a paragraph. That has always been the case, but today, technology makes it even easier for us to pull out the data that’s required and present it in a way that is simple to understand. There is an upwards trend towards visual communication. According to Alexa, YouTube is the second largest website in the world, with users spending nearly 9 minutes a day on the site. It’s a popular search engine as well: people can find ‘how to’ videos on practically anything, from understanding that complicated functionality within your enterprise project management tool to learning how to crochet turning chains. Buzzsumo reports that average shares for video content are trending up by almost double and as far back as 2010 Forbes was reporting that video is a critical information source for senior executives, highlighting an upward trend to watching business content in online video format. Basically, the web is changing from a text-based environment to one with many more visuals, graphics and videos. And this is effecting workplace communication too. The team members you work with are seeing information in different formats elsewhere. The rise of video on Facebook, for example, means more people consume video content now than before, and we’re more used to seeing it and searching for it. People carry their communication preferences over into the workplace. If your project sponsor can download a three minute video on the state of the economy or a complicated piece of health research, they’ll expect the same level of information – distilled into easy to consume chunks – for their projects. And why not? We have the tools to give it to them. Whether it’s breaking down a difficult process into an easy-to-follow process diagram, or showing project progress on a visual plan, you can share project performance data in ways that make it easy for your stakeholders to understand your message. 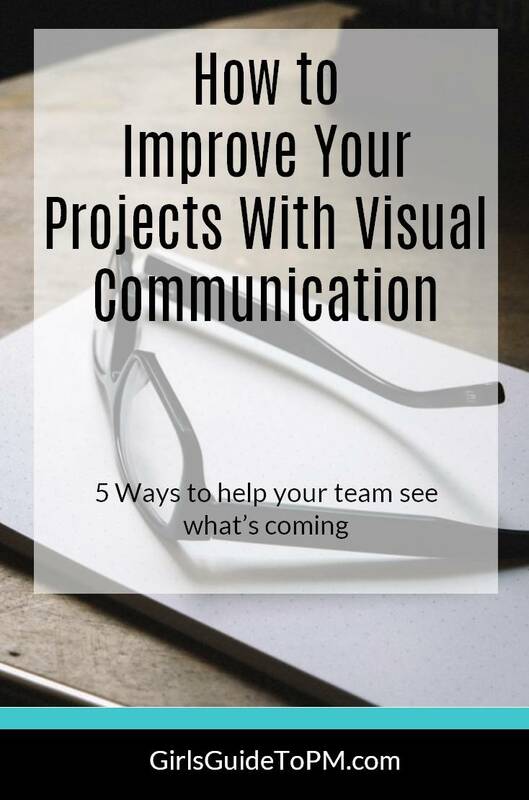 Here are 5 ways to ‘do’ visual project management communications. Whether your team uses Agile methods or a waterfall-based methodology (or blends the two), think about ways that you can share your project schedule with team members. Many project managers copy and paste milestones out of their Gantt chart and list them in a project report, perhaps in a table with dates. Think about showing a rolled up version of your Gantt chart instead, or creating a visual plan with milestone tracking that only shows key milestones over time. This is a more powerful way of sharing project progress than a list of dates. 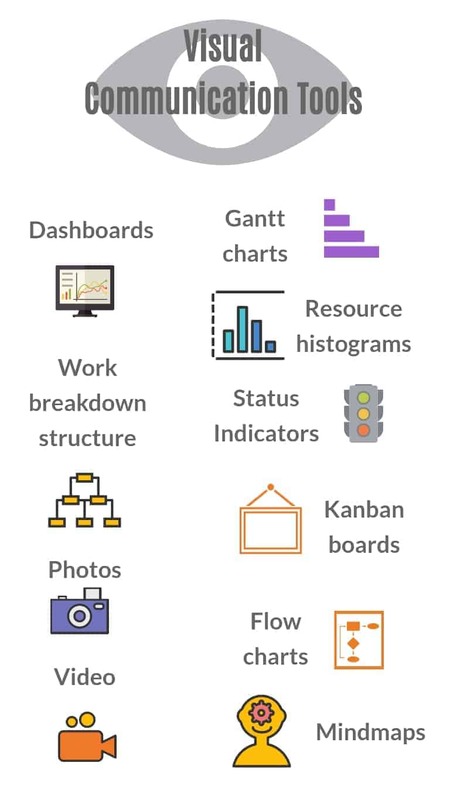 You can do the same with Kanban boards: create a high-level board that shows the major project steps and progress, and include a snapshot of that in your progress report. The first thoughts for mindmapping software are creativity sessions and process flows but you can do more than that. What does your project requirements document look like? In a project where you have clear requirements documented upfront, it’s probably many pages of detailed notes. A mindmap doesn’t remove the need for the team to have all that detail, but the requirements document isn’t going to be the best communication tool. How about using a mindmap as well, to pull out the key categories of requirements and the main features that your project is going to deliver? The main use of dashboards is for project reporting, and the great thing about enterprise project management tools is that they enable customisable reporting so your dashboards can reflect what’s important to your stakeholders. You can still share the data with them even if your team members don’t have the same dashboard access that you do. Either print to PDF and share it electronically that way, or take a screenshot of the dashboard and share the image. Photos and screenshots can be used in many different ways, even on projects where the output is not something particularly photogenic. 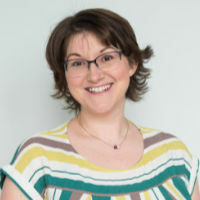 Another implication for the social web spilling over into the way we do work is that people want to connect more with the personalities behind the projects. Sharing photos of your team in a workshop, or out on site, can really make the project seem more real, which in turn can improve engagement. There are some ideas for using photos in your project communications in this slide show from a webinar I did on how to market your project. Tools like Jing and Loom make it easy to capture and share short videos. These are perfect as communication tools for helping others know what really want them to do or for presenting a quick look at how a deliverable is coming on. Lumen5 is a simple tool for creating videos for communication purposes: watch my tutorial on how to do it here. Include a video link in your briefings: people don’t have to click it if they aren’t interested but I bet some of them will want to see. Whatever you choose to enhance the way you communicate about your project, the important thing is choosing a way that makes sense for the context. There is no value in extracting your current resource utilisation and presenting it as a pictogram without the context around what your planned resource utilisation is, the gap, why that gap exists and what you are doing about it. There’s a fundamental shift in the way we communicate and it’s visual. Whether you make the most of the data visualisation tools within your project management software, or break out your smartphone and capture a video of what happened on a team away day, it’s important to be able to share our project work with a visual focus. The visual communication trend is here to stay. Just like project teams adopted ‘corporate’ social media tools, project teams will need to adopt visual ways of thinking to deal with the increased expectation that data can, and should, be shared that way. I wrote a white paper on this topic. You can get a free copy here. I totally agree that it’s easier to understand data when it’s in the form of a graph instead of just a paragraph. I’m a visual learner. I also feel like visual communication might help emphasize any important matters for a project.